Welcome to our “OMG this is amazing!” blog! This delivers all mobile app related news to our clients and fans for the Asian market. As our very first blog, we would like to start with this very mysterious giant – CHINA’s market. 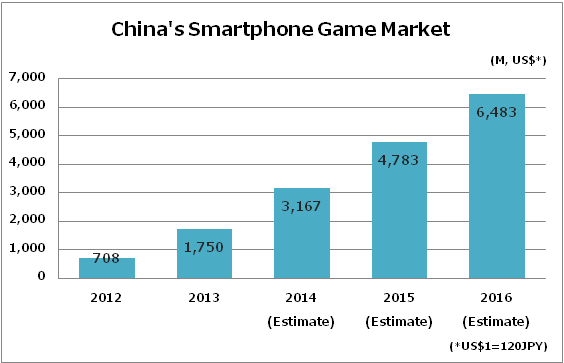 As you already know, China’s smartphone game market has grown to become one of the world’s largest with million dollar games and publishers. However its Android market where hundreds of app stores exist is almost unknown- everybody is interested but everybody is unfamiliar and struggles to capture its real picture- what China’s Android market is like. Big thanks to collaboration with TalkingData, a China’s leading app analytics company, every month we will publish the data and insights on China’s Android market. So, China’s Android app market, there are literally hundreds of third-party app stores available. Anyway what the reality is almost 90% of total share is made by the Top 5 app stores. Check the Top 5 Android App Stores below. 360 and Tencent are competing for the top spot while Baidu comes to the 3rd. 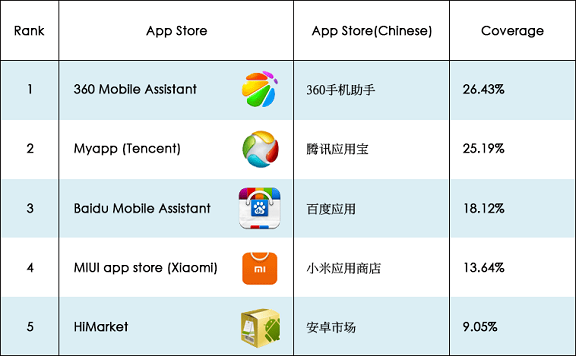 Another point to note is Xiaomi Inc.- China’s largest smartphone maker has grown its own app store very smoothly along with a growth of the company’s business size and ranked as the 4th. As a side note on Baidu, they acquired NetDragon Websoft Inc. two years ago for US$1.9B (JPY 220B) in cash who owns big app stores HiMarket and 91.com. Considering this, we can see that the market is actually taken by the Top 3 stores: 360, Tencent and Baidu and it has become a battlefield for other app stores Xiaomi, Huawei (smartphone makers) and Wandouja (independent app store raised funds from Softbank in February 2014) where they set out to cut into the Top 3. Next, this is the Top 10 Android Mobile Publishers. 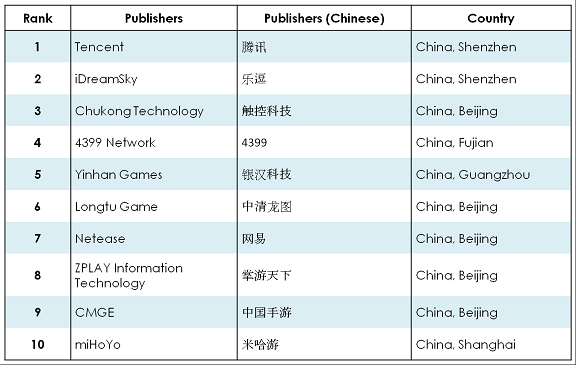 As expected, we see only Chinese publishers here. And as expected again, Tencent is the No.1 publisher, an owner of WeChat. Let’s look deeper into Tencent with their FY 2014 earnings report and see if we can grab more info about China’s market. 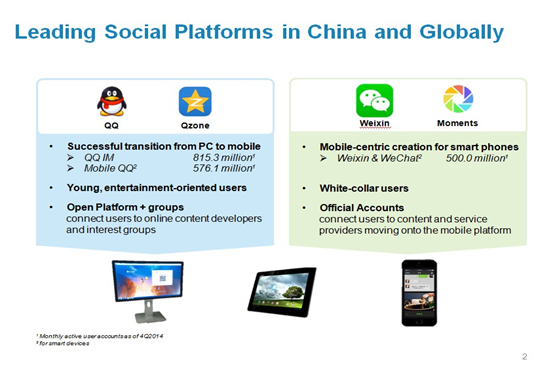 Tencent revealed they have 500M monthly active users in their message app, WeChat. The growth has slowed down a bit compared from the past but it is truly the largest platform with 6.8% (32M users) of quarterly increase with the majority of the users coming from mainland China. Tencent also provides a chat app called “QQ” with 815M MAU in total. Also users in mobile QQ reached 570M. As you can see, the biggest pillar of Tencent’s revenues is online games. Mobile games advanced 48 percent to US$600M and it is expected to grow more as few of their games reached DAUs of over 1M. Tencent is also known for their aggressive approach in all sorts of business such as Ecommerce, payment solution and O2O business. Anyway almost 75% of their revenues are coming from game business which we think they will strengthen in the future. Watch the move of Tencent carefully when advancing into China’s market. TalkingData is the largest 3rd party mobile data service provider that have been widely recognized and adopted by the whole mobile ecosystem in China. More than 80,000 apps that access over 1.2 billion unique mobile devices in China rely on this mobile analytics platform to track and analyze mobile users’ behaviors. 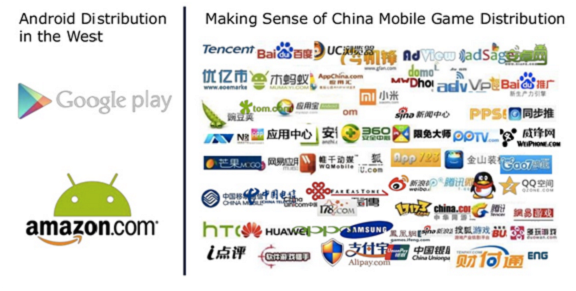 The data collected from these products and also exchanged from the mobile distribution ecosystem enables TalkingData to build the largest behavioral data panel of the mobile population in China. Based on this, they are able to provide the most accurate estimations for the installation, activity and usage of any app in China, especially in the complex Android marketplace. Adways releases “OMG this is amazing!” blog! 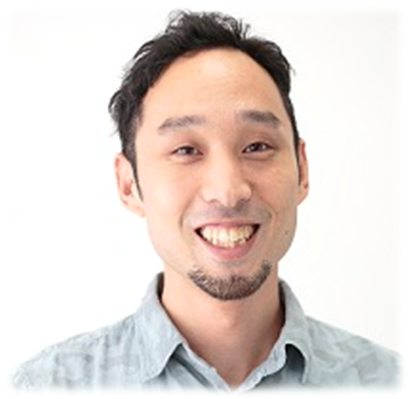 Started in Tokyo from 2001, now Adways has grown to become a marketing company with more than 1,000 employees working everywhere around the world. As of 2015, we have our office in China, Taiwan, Korea, Thailand, Indonesia, Singapore, Vietnam, Philippines, India and the US – supporting app marketing for LOCAL clients by LOCAL members with LOCAL network globally. Maximizing our strength of “LOCALIZATION”, now we are starting this amazing blog spreading all mobile app related news, updates, analysis to our clients and fans for the Asian market. Strategy of this amazing blog is to help all game developers to get a better understanding of each app market and support their business throughout Asia. Guide your app to Asia! Adways is here to support your adventure ahead!